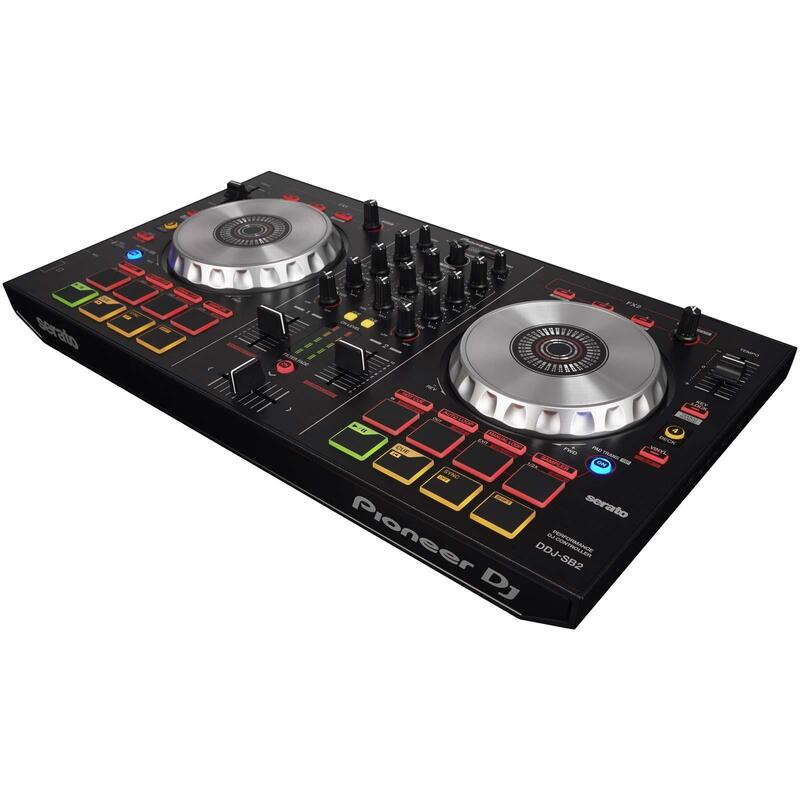 The Pioneer DDJ-SB2 is a portable 2-channel DJ controller that comes bundled with Serato DJ Intro (free download). 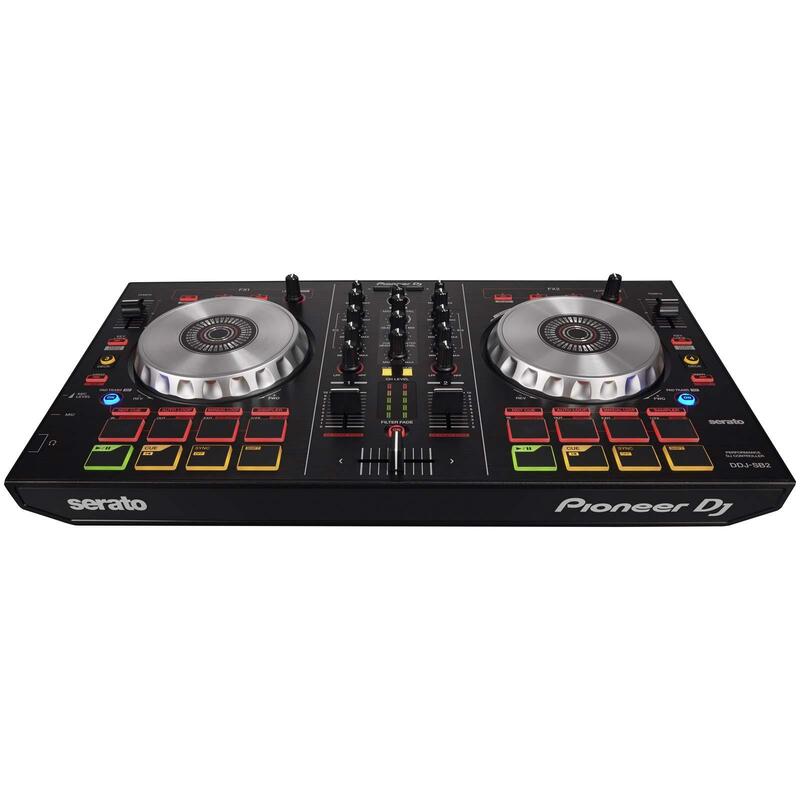 The DDJ-SB2 can also be upgraded to a full version of Serato DJ with a paid download. 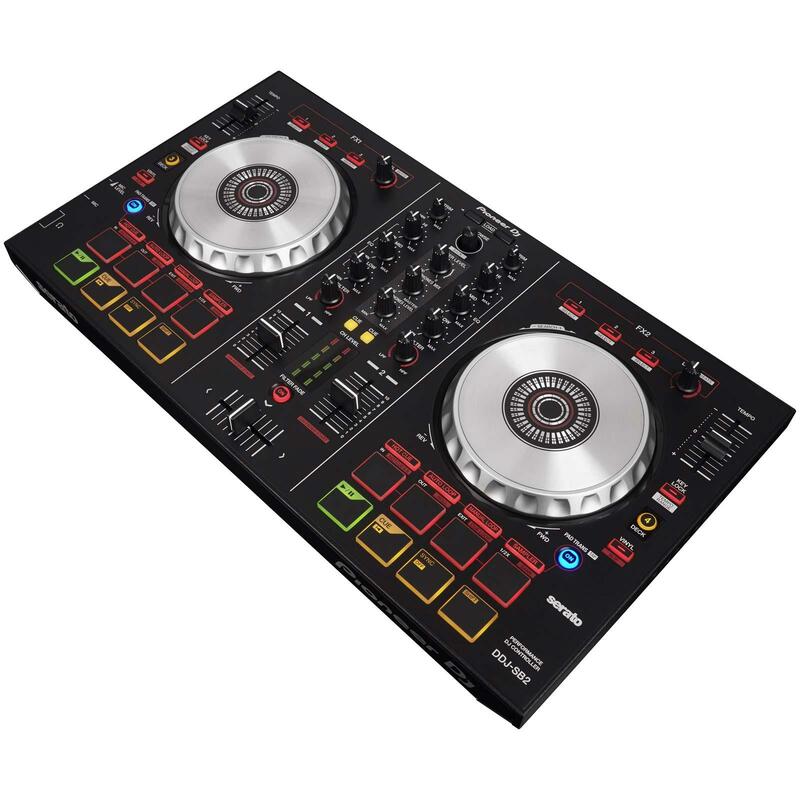 Tactile performance pads: Four rubber pads enable you to trigger Hot Cue, Auto Loop, Manual Loop and Sampler – while a further four give immediate access to Play, Cue, Sync and Shift functions. 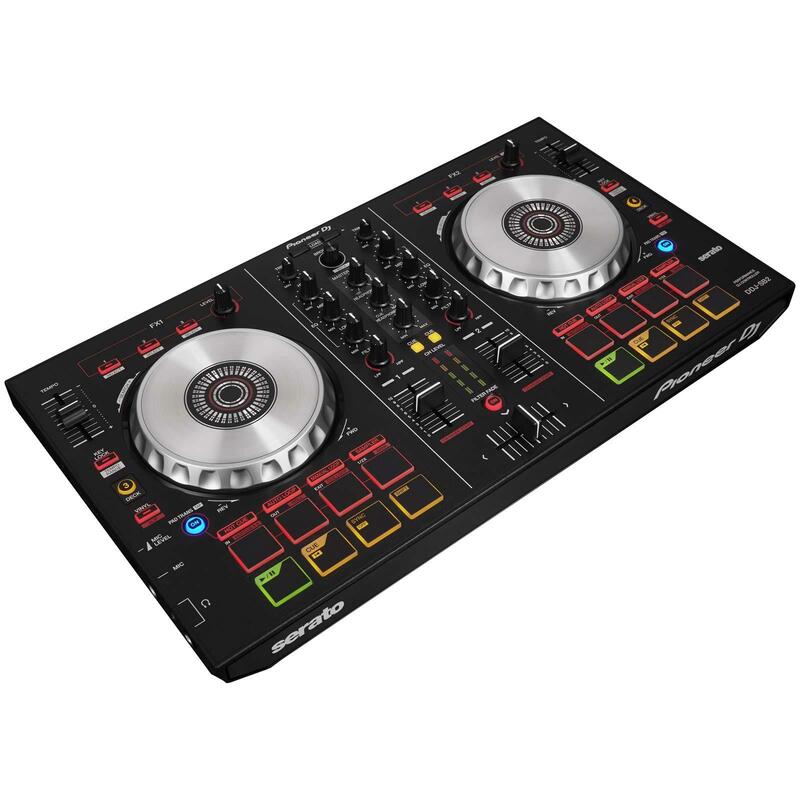 Large jog wheels: This compact controller comes with large jog wheels, providing a dynamic performance with great scratch response and accuracy. 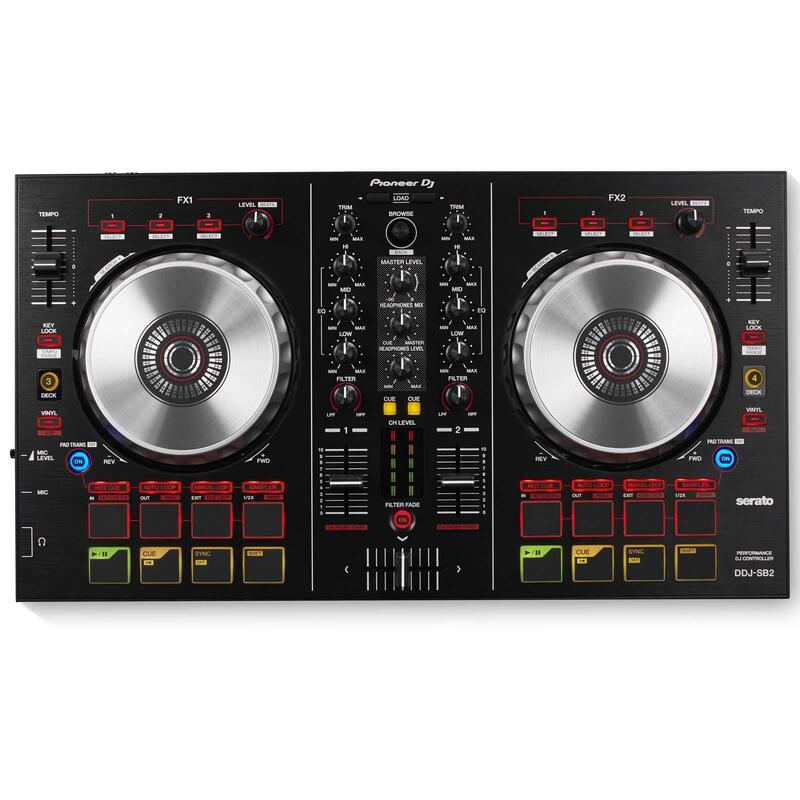 Authentic & dynamic DJ play: The TRIM knob gives you control of the input volume for each channel, while the level meters allow you to adjust it quickly and accurately. Manual Filter: On every channel, to manipulate tracks input from either the software or external hardware. Make the cut: With the Quantized Pad Trans beat effect, you can cut the volume in time with the BPM by simply hitting the performance pads. Do more than just mix: By hitting the Filter Fade button, you can add two high pass filters to the crossfader – so both volume and bass filter can be manipulated using just one hand. Seamless mixing becomes effortless.